UK Cheese (larger photo below). Want to know more about the herb you’re smoking? So do we, so we’ve asked Ry Prichard – a fellow Colorado cannabis nerd, grower, photographer and founder of the Cannabis Encyclopedia project which aims to create a central database on cannabis strain information – to help school us all, strain-wise. Each week in our new Cannabis Encyclopedia blog, Prichard will break down a strain from seed to buds. This week? UK Cheese. 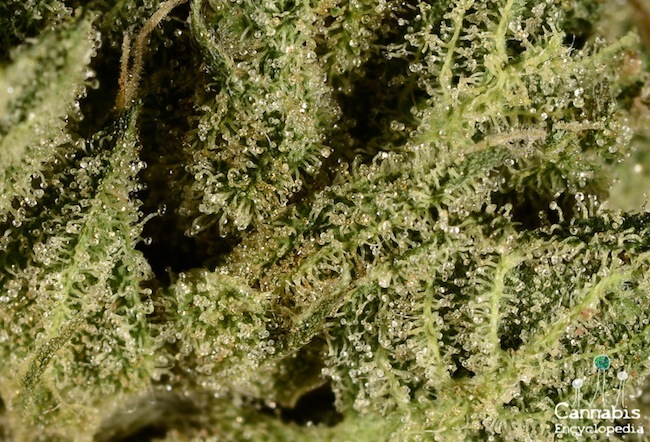 Overview: The U.K.’s most popular strain, “Cheese” was a massive craze throughout the late ’90s and early 2000s, similar to the way OG Kush took over the California scene during the same time. The UK Cheese is a strain with a little bit of controversy to it, mainly that it seems to appeal to about half of the people that smoke it, with the other half hating it. It is far more popular in the U.K. and Europe than it is in the U.S., but it has started to gain a foothold in dispensaries mostly thanks to its numerous hybrids including Cheesewreck, Chiesel, Dairy Queen, and others. The Cheese got its name from its signature grassy, musky, slightly sweet aroma which is reminiscent of the flavor of a funky raw milk goat cheese… clearly, that type of flavor is not for everyone and seems a bit out of place in the cannabis realm, which normally favors “sweet and fruity” or “acrid and skunky”. Still, its uniqueness has set it apart in the U.K. scene and it became by far the most popular strain in the region, spawning a massive number of hybrids using it as a mother plant, including the practically the entire line from Big Buddha Seeds. The plant itself grows somewhat tall but produces large, soda can-sized buds when well-treated. Extremely dense but slightly leafy, the resulting buds have a lime to army green coloration, with pinkish-orange stigmas and velvety-looking, low-lying trichomes. It takes between 60 and 70 days of flower to finish, but rewards the skilled grower with an above average harvest. The finished buds at a distance smell mostly sweet with a light herbiness, but when broken apart, a properly-grown Cheese releases its true funky scent. The flavor translates particularly well when smoked or vaporized, similar to the famous Diesel family as well as other popular varieties like Bubba Kush – it hangs in your mouth quite a while after smoking and seems substantially different than 95% of cannabis you will consume. Whether you’re a fan of the flavor or not, it does at least deserve credit for being unique and having a strong, distinct quality rather than one that gets muddled after the first hit. Like most Skunk phenotypes, the Cheese does lean Sativa in terms of effect, but it has a definite “stoney” side, especially as the effect progresses. The “EXODUS UK Cheese” clone-only version definitely has a stronger Sativa influence than the from-seed versions produced by Big Buddha and others, which generally use an Afghani-based male line and come with a heavier effects package. It is not the most potent strain in the world, but it carries a moderate effect through 2 hours, tending to relax more at the end than at the beginning. 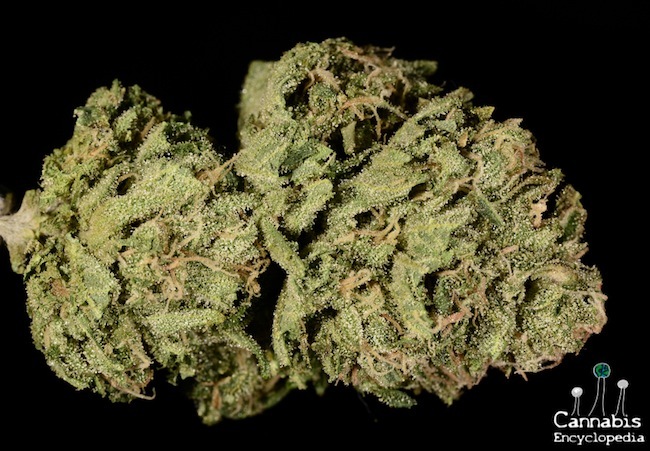 Happy, relaxed, and goofy, the Cheese is a definite throwback type of herb that recalls the early days of cannabis breeding and deserved to be tried by anyone serious about tasting the entire rainbow of the cannabis spectrum. Cannabis Encyclopedia is our new recurring column which seeks to educate about the wide variety of strains available on the market. Ry Prichard is the writer, photographer, and researcher behind CannabisEncyclopedia.com, an extensive web portal of cannabis information. He spends most of his days navigating the weed jungles of Colorado.